What’s the difference between a plastic container, a plastic moving box, a plastic crate, an ALC, a tote, or tote box, and the rest? I get it, it can be confusing! So we decided to put together this guide as a way to help everyone get to the bottom of this puzzle. We understand that you are a busy person, so we created a menu over there, so you can simply select the bit you want to know about and you’ll be taken to that section. We will go over the types of plastic boxes, and how they are used. 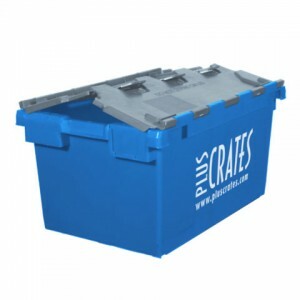 We will also discuss the best fit for each job, detailing what out crates and other plastic boxes are used for. Why you might choose one over the other, and so on. We hope that this will help our customers, and everyone else to find exactly what they require for their specific task. If you would like more information or think you know something we missed or would like us to add, then please do get in touch. Plastic container is a generic term that encompasses all plastic containers. This can range from very small to very large. Plastic containers may have lids but often don’t. If they do have lids, they aren’t necessarily attached. Plastic crates are at the core of what we do. Plastic moving crates were originally introduced for office moves and commercial relocations. The first crate that was widely used was the L3C. It was originally created to take the contents of filing cabinets, so one standard drawer would fit into an L3C. The L3 quickly became the standard plastic crate of the commercial removal industry, because it is the perfect size for most applications. The range of plastic crates quickly grew to include metre long crates, smaller domestic move crates – L2C , the smallest L1C personal crates for individuals, and larger crates for IT moves designed for large desktop computers, workstation computers, and servers. Basically, there is a crate for most requirements, whether you are moving office, moving home, or other. If you want to know which crates we recommend for a particular use case or scenario, then just click the menu to the left on the desktop or below on mobile. What does ALC mean anyway? ALC stands for Attached Lid Containers/Crates. Which simply means, the plastic container has a lid attached to the main box. In most cases, the lid opens and hangs by the long sides of the container. ALCs are sometimes called totes or tote boxes – especially in a retail environment. They are also referred to as croc boxes or alligator crates because the lids interlocking mechanism looks a bit like teeth! It’s the clever design of the interlocking lids and the specially designed grooves on the lids that mean they can be safely stacked for transport. The hinged-lid plastic crates also benefit from a design that allows them to be nested into each other. This means you can easily and safely manoeuvre a stack of empty crates. Usage applications for ALCs are basically the same as plastic crates – office moves, distribution, logistics, events and domestic or industrial storage. As with most of the plastic containers on our list, plastic storage crates is simply another name or description that relates to crates and totes. The plastic crates we supply are perfect for short and longterm storage for many reasons – they are high-quality and very heavy duty plastic storage boxes, and most of our stock is fully tanked (there is no drainage hole in the bottom), which means they have weatherproof/waterproof bases – ideal for storage. Imagine the worst case scenario; you are storing your precious items in boxes in your shed or garage during a home improvement project. Imagine that shed or garage leaks. If you had used cardboard boxes, the absorbent nature of cardboard boxes will offer no protection to your belongings. Whereas plastic storage crates will not only prevent water ingress into the boxes in the water but because plastic is not absorbent, it will prevent water from making its way anywhere else. Packing crates is another name for ALCs or plastic crates. Our crates are packing crates, as they are packed up for moving home or office and then transported to the new location. What makes our crates the ideal choice for commercial movers? Well, there are are many reasons, which is why crates have been a standard for professional and commercial removals companies for years. Firstly, if you time how long it takes to build up a cardboard box, tape the bottom and tape the top, then multiply that over the number of boxes you will need on a commercial move, the manhours saved by using our ready-to-go plastic boxes, really adds up. The fact that crates can be securely stacked when full and nested when empty also helps keep everything working quickly and smoothly. Euro containers are available with and without lids but are more commonly used without lids. they tend to stackable, but due to their square sides, they can’t be nested. Therefore they tend to be used in location-based scenarios, such as warehouses and stock storage, rather than removals or distribution. Now we will discuss the best uses for each type of plastic container, including which containers or crates are best for specific tasks. All of our crates are used by commercial moving companies as there is a crate for every requirement. The L3C is the “standard” crate for the commercial removals industry and is the most popular crate in our selection. It can be used for domestic house moves, though it is quite big, so we suggest the L2C if you’re moving by yourself. The L6C is the metre-long crate, and is used primarily for metre-long filing systems as it will fit a metre-long filing drawer per crate. Lastly, the IT3 and IT6 are popular if the office has large computer workstations/servers that need to be moved. For house moves, we recommend the L2C crates. These plastic containers with lids attached are ideal for house moves due to their smaller size when compared to the L3C. The smaller size makes them a lot easier to carry up and down stairs and to fit through the narrower doorways of domestic houses when compared to offices. Which of our plastic containers is ideal for library moves? Well, our metre-long crates are made to hold an entire standard library shelf (they happen to be a metre long). So the metre long crate is perfect for library moves. Though it’s not a plastic box, we do suggest you look at our library trollies too! they make moving libraries much easier. Or even moving books around a library.